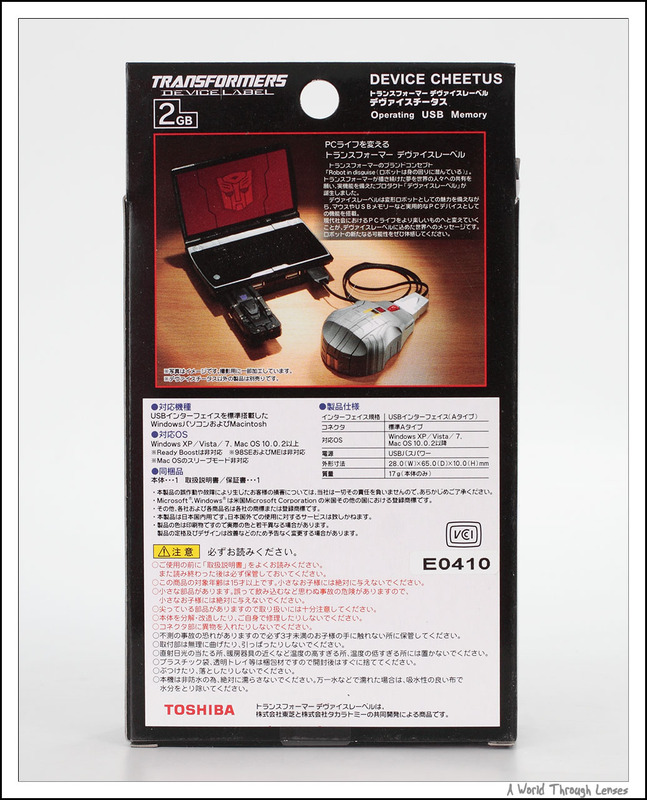 I have posted previously on my Device Jaguar USB key and Tigatron USB key transformers operating USB key. 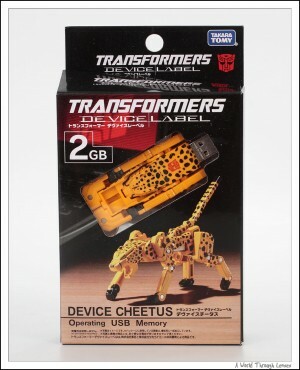 Takara Tomy decided to release another repaint of the same USB key and call it Device Cheetus. And of course for the sake of completing the collection, I had to get my hand on one of those. Takara Tomy Transformers Device Cheetah 2GB USB Memory (タカラトミー トランスフォーマー デヴァイスチータス). 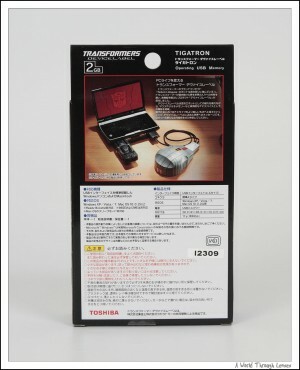 Released on May 2010 with a MSRP of ¥3,990. After playing around with Takara Tomy Transformers Device Jaguar USB Key, I was so impressed with it that I can’t help myself to get Device Jaguar’s counterpart – Tigatron. 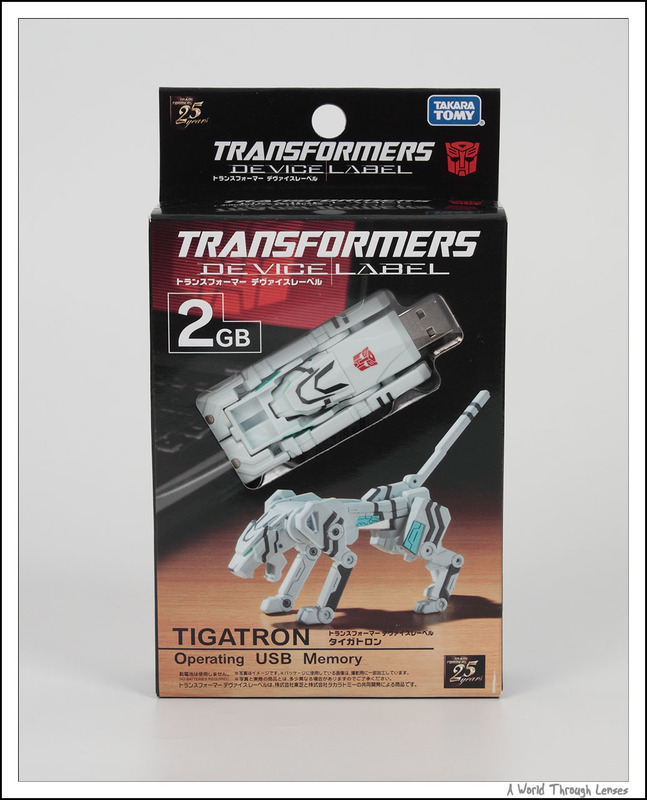 Just like the Device Jaguar the Tigatron is a 2GB USB key. And Tigatron is pretty much identical to Device Jaguar with the exception of the paint color. But it’s nice to have two different colored ones, white and black makes a nice contrasty pair. 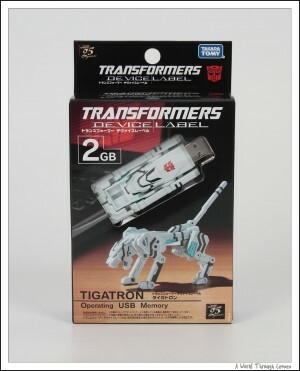 Takara Tomy Transformers Tigatron 2GB USB Memory (タカラトミー トランスフォーマータイガトロン). Released on October 2009 with a MSRP of ¥3,990. The Tigatron box, pretty much identical to the Device Jaguar.